SEO Services in London is helping London local businesses increase their visibility online through local search engine optimization (SEO) in a unique way. We offer a unique client/customer acquisition service to local businesses that brings more customers to them through the internet. We help local business achieve great local overall visibility quickly through Google My Business 3 pack maps listing, organic Google search results pages and rankings in other search engines. We help businesses set up accounts across most prominent social media sites such as Twitter, Facebook, Tumblr, Google Plus, Local Business Directories, Press Releases and more. We help them create a great brand presence across popular social media platforms and indeed the across the whole of the internet. Businesses of all sizes do benefit from the credibility that our professionally designed websites can offer. We create a beautiful business websites and blogs for local business that looks great across all devices - computers, tablets & mobile phones. We provide business video creation and marketing services through our sister company "Video Creation Services", creating unique business videos for companies for quality traffic from the YouTube video platform. Our Costs are comparably very low and affordable. 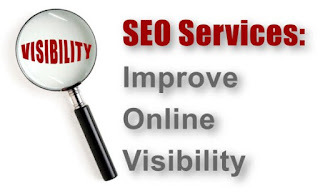 We deliver real search engine optimization results for our clients or their money back. We also offer great looking, well optimised and effective local business websites and blogs at wonderfully low prices. Contact us today for discussions about your exact needs and for a quotation and be the judge.